The thing I love most about fashion blogging is that it’s rarely only about clothes. It’s about the cultural traditions behind an outfit, using your creativity to create a whole new look, or to discover the real personalities behind style icons. This week’s roundup is enlightening in so many ways. 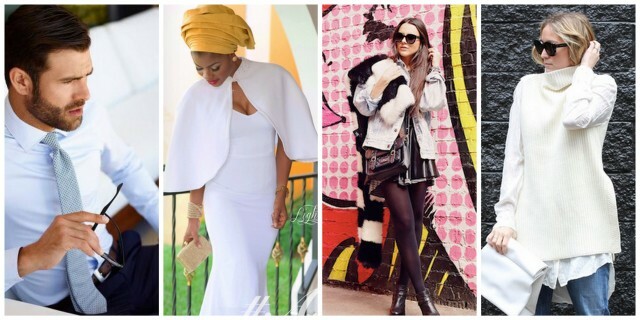 We learned that Nigerian women really know how to do it up for weddings, that two skirts worn together can look very chic, that Anna Wintour is lovely during an interview (and might even tell you your second-hand dress is pretty), how to survive a shopping break… read on for these educational tidbits and so much more! 1. Read the updated rules and submit your links on this page: Links à la Mode. Thank you! Have a gd Sunday! Thanks hon, you too- Congrats on your feature!